What is Corporation Tax? Who pays it? Corporation tax is a tax due for anyone who sets up a limited company. When you start your business, you need to register for corporation tax. There is an emphasis on you to keep records in order to see how much you need to pay as HMRC doesn’t send a bill for it. This might mean working with an accountant to ensure you are keeping the right information and know how much your company will need to pay. See our professional online accounting services. You need to let HMRC know if you have to pay Corporation Tax within 12 months of the end of your accounting period. There is a set deadline to either pay Corporation Tax or confirm to HMRC that you have nothing to pay. This is normally within 9 months and 1 day of the end of your accounting period – for many companies this is either April or the anniversary of when they were set up. The tax is payable on trading profits, investments and any assets sold, if they are sold for more than they cost – known as chargeable gains. See our affordable corporation tax services. Any company that is set up as a limited company in the UK must pay corporation tax on the annual profits it makes. It is not paid by sole traders or partnerships as the people involved in these businesses are classed as self-employed and pay their tax through the self-assessment system. Groups of individuals who are acting as a business but not in a partnership such as a co-operative do need to pay the tax. Any trade associations, housing associations and members’ clubs or societies also need to pay this tax – sports clubs and community groups being examples of these. What is a double taxation treaty? Every country has its own tax laws and if you live there, you pay taxes by those laws. But what about if you live in one country and have income from another – do you have to pay tax twice? This is known as double taxation. So, you might live in the UK and have property in Spain that earns you an income. You would have to pay tax to the UK government for your total income and also tax to the Spanish government on your income from the property. However, the UK has a number of double taxation treaties in place to help with this situation and stops people having to pay tax twice on the same income. If the country you have the income from has such an agreement with the UK, this will state which country collects what tax on what income. Double taxation agreements lay out which country has taxing rights over an individual and if they both have rights, who gets priority. It also lays out the rules about different types of income, if income or gains are exempt from tax in any situation or if tax paid to one country can be offset against tax paid in another country. Some of the agreements can even involve more than one country to cover companies or individuals who have multiple properties or sources of incomes originating from different countries. But what about if the UK doesn’t have a double taxation treaty with the country in question? Then you can still get tax relief for the money paid in tax elsewhere in the form of a tax credit. Let’s say you pay tax on 15% of your income that comes from another country. The UK tax rate that applies to the income is 20%. But under the foreign tax credit relief scheme, you would only have to pay 5% of the tax as you have already paid 15% overseas. The same may also apply if you have taxable income in the UK in addition to your main income in your own country. Your own government may have a similar scheme where you get relief against the amount paid to the UK government. Is the UK Corporation Tax only applicable to resident companies? Any company that is registered within the UK has to pay corporation tax on the profits that it makes. They may fall under the double tax treaty if some of their profits are made in other countries but mostly, they will pay tax in the UK. Non-UK resident companies have to also pay corporation tax if they have activities that amount to a permanent establishment within the UK – this means a permanent branch or office in the country. In this situation, they would have to pay corporation tax on the activities and profits that create income in the UK. There are three rules used to determine the tax residence status of a company – the place of incorporation rule, the central management and control test and the treaty override rule. The place of incorporation rule means that if a company is incorporated in the UK, then it will be classed as resident and needs to pay corporation tax. This is only changed if it is classed as resident in another country and then double tax treaty rules will decide what tax is paid where. The central management and control test looks at a company that is not incorporated in the UK but may still be a tax resident if it is centrally managed and controlled in the UK. This looks at the top level of decision making in a company and where this takes place. The treaty override rule can overrule the other two rules when it falls under one of the double tax treaties. Corporation tax is a tax due on profits made within a business if the company is a limited company, a foreign company who has a branch or office in the UK or a club, co-operative or unincorporated association. Corporation tax doesn’t have a bill that is sent automatically, and you have to provide information to HMRC for them to work out what you owe then pay this within a certain time period. Currently, the rate of corporation tax is 19% although the government is considering dropping this to 17%. There are also some additional tax credits that may be applied. For example, you can deduct the cost of running your business from your profits before tax while anything you or your employees get personal use of must is treated as a benefit. Capital allowances are when you buy assets for your business including equipment, machinery and business vehicles such as cars, lorries or vans. Other types of relief can include Research and Development Relief, reliefs for creative industries and Disincorporation Relief if you are closing the business to become a sole trader. If your company makes up to £1.5 million in profits, you need to pay corporation tax before the deadline of 9 months and 1 day from the end of your accounting period. This is normally the end of your financial year unless specified otherwise. If your company makes more than £1.5 million in profits, you need to pay corporation tax in installments. You can’t currently pay corporation tax via the post. And if your deadline falls on a weekend or bank holiday, make sure the payment reaches HMRC on the last working day before this to avoid interest charges. There are three rules used to determine the tax residence status of a company – the place of incorporation rule, the central management and control test and the treat override rule. Prior to 2015, the rates for corporation tax were varied depending on how much profits you made and other factors. However, from 1st April 2015, the government introduced a new system with a single rate for corporation tax of 20%. This flat rate was slightly amended for the years 2017 to 2019 with the main tax rate being reduced to 19% for all profits apart from ring fence profits, which remain at a 20% tax rate. This rate was due to drop to 18% in April 2020 but an announcement in the 2016 Budget amended this and the rate for 2020 onwards will be 17%. The only difference to this is what is known as ring fence companies. These are companies who make profits from oil extraction or oil rights in the UK or the UK’s continental shelf. Companies in this category can claim Marginal Relief on profits from £300,000 to £1.5 million. You do also have to pay corporation tax on any chargeable gains you have made during the year. What is the Rate for “Small Profits”? Before the changes in 2015, any company who made less than £300,000 a year would be classed as falling under the ‘small profits’ rate and therefore would only have to pay 20% corporation tax. At this time, the standard rate was 21%. However, since the changes in 2015 came into effect, there is only one standard rate of corporation tax payable for all companies apart from those who fall under the ring fence system. This rate is currently 20% although this falls to 19% for the 2017-18-19 tax years and to 17% for the 2020 tax year. What is the “Main Rate”? Before the changes in 2015, the main rate was the amount of corporation tax paid by companies that earned more than £300,000 a year. In 2014, this rate was 21% versus 20% paid by companies classed as ‘small profits. However, since the 2015 changes, there is just a single rate of corporation tax for everyone, unless your company falls under the ‘ring fencing companies’ section. This means you will pay 20% corporation tax on 2016 profits, 19% on 2017-18-19 profits and 17% on the 2020 profits, regardless of how much your business makes each year. What is a chargeable gain? How is it calculated? Corporation tax is a tax applies to all limited companies as well as most unincorporated associations such as clubs and cooperatives. It is also payable for foreign companies if they have a branch or office permanently based in the UK. As part of the calculation towards paying corporation tax, the business can take into account company assets – these can include land or property that the company owns, equipment and machinery and any shares. If any of these assets are sold, the company would need to pay corporation tax on the profit from selling or disposing of the asset – this is known as chargeable gain. Any company that fails to file their company tax return by the official deadline will face penalties in the form of a fine. Fines are scaleable according to how late you file, so if you find you are late with your your return, it is better to get it submitted as soon as possible or you could face an even more hefty fine further down the line. If your tax return is late 3 times or more in a row, the £100 penalties are increased to £500 each. If your company tax return is more than 6 months late then HMRC will send you a tax determination letter specifying how much Corporation Tax they calculate you will need to pay. Unfortunately, this is something you cannot appeal against. Should you want to appeal against a penalty for late filing because you believe you have a reasonable excuse, then you can lodge an appeal by writing to your Corporation Tax office. An explanation of ‘reasonable excuses’ acceptable by HMRC can be found here. To find the address of your Corporation Tax office, you can check your most recent letters from HMRC or call the Corporation Tax helpline. A P11D form is something that is used to report benefits in kind. For example reporting services or items received by yourself on top of your salary. This could be in the form of a company car, private healthcare, travel expenses etc. You should submit the P11D form along with your annual Self Assessment return to HMRC. Any tax due must be paid to HMRC by the 22nd July each year. Because receiving benefits in kind may indirectly increase your salary, you may be liable to pay National Insurance contributions on them. However, it is the company that would pay these contributions for you, rather than you paying these as an individual. Who needs to file a P11D form? All P11Ds are filed by the employer rather than the employee. However, if you are a sole director, contractor or freelancer, you will be filing this for yourself. When is a P11D form filed? Luckily, these forms have a yearly submission filing date of 6th July following the tax year. So this means that filling P11D forms are not dependent on your company year. So for a tax year running between April 2018 to April 2019, the P11D form must be filed by 6th July 2019. This makes it a lot easier to comply with as there is only one date to remember and mark on your tax calendar. What is included in a P11D form? What’s the penalty for filing the P11D form late? Filing any tax returns late will incur harsh penalties from HMRC, and filing P11D forms late are no exception! The 6th July deadline is quite clear-cut and easy to remember as it applies to everyone regardless of their company tax year. However, you won’t immediately be hit with a penalty. You will get a two-week grace period to file your P11D forms, but should you fail to submit after July 19th your company will be penalised with a fine of £100 per month per 50 employees. Should you still fail to file your P11D forms by November, then you will get a reminder from HMRC and details of your penalties accrued up to that date. Also remember that you can still be fined for submitting incorrect information on your P11D forms, but this is at the discretion of HMRC. Genuine mistakes may be forgiven, but if they think you acted carelessly or deliberately, your company can face fines of 30%, 70% or 100% of the owed tax. What mistakes should I avoid when filing a P11D form? As is the case with all tax filings, you need to ensure the information you use to complete the P11D form is correct. There will be harsh penalties to face if your information is inaccurate, sloppy or incomplete. 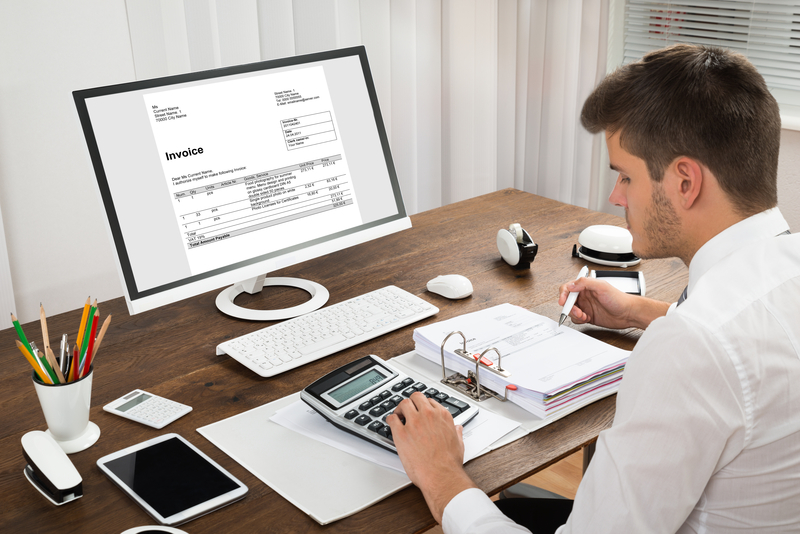 You should ensure that you stay up to date with all of your bookkeeping and accounting processes to make sure that the the right details are filed. Employees that use their home phone or personal mobile phone to make company calls should of course be repaid, but these expenses are quite frequently forgotten or are not recorded properly. This is why it is advisable to issue key staff with company mobile phones so that every call can be accounted for and reported accurately. Directors loan Accounts are another area to watch. When you complete your P11D form, and your directors account is overdrawn, your company will be charged interest on the overdrawn amount. There will also be a National Insurance charge on that interest, so it would be wise to keep directors loan accounts balanced before the end of the tax year.